If you have valuable experiences and expertise to share but lack the know-how and confidence to turn them into a book, fret not. We are here to help. Ever wished that you had an effective way to create visibility and increase mind share? Ever wished that you had a branding tool so powerful that it could almost give you instant credibility without fail every time? Ever dreamt of having the satisfaction of seeing your own work in print and in circulation, and having the opportunity to create an impact with your insights? Pump up your visibility and increase your presence in the market. With the expanded mindshare you enjoy, you are able to attract prospects, clients and partners and have them knocking on your door year after year. Establish authority in your area of expertise without ever needing to brag. Because people view book authors as experts in their field, you are able to gain their trust and convert them from prospects to paying clients quickly. Your premium positioning also allows you to close more deals at the price you ask for. Leverage on a branding tool so powerful that it can almost give you instant credibility without fail every time. What is more, you get to build your personal brand without having to spend thousands of dollars running expensive advertising or marketing campaigns. Spread your ideas to a wider audience even without your physical presence. 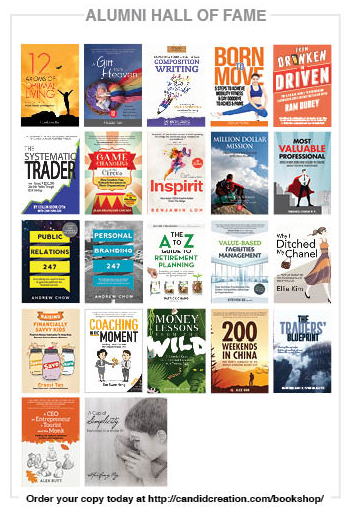 A book is like a premium name-card on steroids, helping you to spread your message and promote your business while you are sleeping. “So you want to be an author” is a 2-day hands-on authorship workshop specifically tailored to help game changers like you who aspire to stay at the top of their game by becoming published authors of non-fiction books. In this workshop, you will be guided to develop your own personal blueprint for publishing success using our 6P Publishing Framework. This is the same proven framework that over 300 of our authors have followed to take them from just having a piece of blank paper to enjoying success today as published authors. ‘So you want to be an author’ is a 2-day hands-on workshop specifically tailored to help game changers who aspire to stay at the top of their game by becoming published authors of non-fiction books. This workshop is suitable for CEOs, Professionals and Educators, Business Owners and Entrepreneurs, Speakers and Trainers, Coaches and Consultants, Financial Advisors and Property Agents. 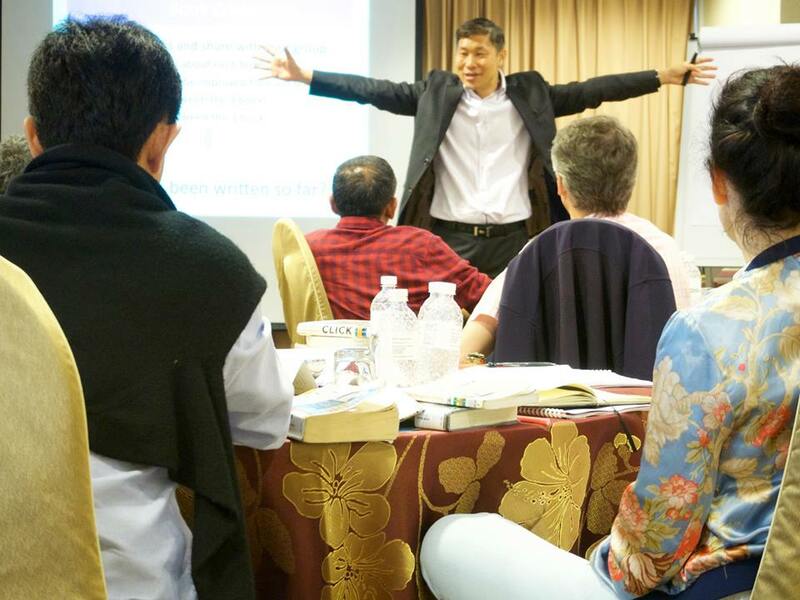 “Having gone through my somewhat eventful life, the niggling feeling has always been tugging at me for the longest time that begs the question, “Is there a book in me?”….Attending the “So You Want to be an author” workshop by Phoon Kok Hwa put an end to that sensation and helped me draw greater focus and affirmation on what needs to be done next … and begin the process of putting pen to paper … Thanks, Kok Hwa, for helping me exorcise the ‘beast’ within and put me on the path of action!! “I attended the “So You Want to be an Author” workshop on a recommendation from a friend who also attended and I found it to be the best use of 2 days towards writing my book that I have spent in the last year, and that includes the time I have spent actually writing. The facilitators, Phoon Kok Hwa and Andrew Chow, are passionate experienced professionals in publishing and PR respectively and were very generous in sharing their knowledge with us. However, while the information they shared was great, what was even more powerful were the processes and activities we participated in, which allowed me to really focus on the essence of both the what and the why of my writing. This is not a workshop on writing per se, but rather about everything that needs to be done to bring that writing into the public eye in a positive and impactful way. This is how I feel after undergoing a 2-day workshop by Phoon Kok Hwa of Candid Creation Publishing. You see, I’ve got a book in me but I’ve hesitated and procrastinated for the longest time but this weekend, I invested in an authorship workshop facilitated by Kok Hwa and gained so much clarity about my intention and flow of my book. Never once did he try to upsell us any publishing packages but he chose to focus on putting the spotlight on us so we were clear on why we write. He also invited his past authors to share and that really lent me more courage to get my word out. Among the couple of publishing consultants in Singapore I’ve met, I can safely say he’s one of the most authentic, knowledgeable and author-oriented publishing consultant. 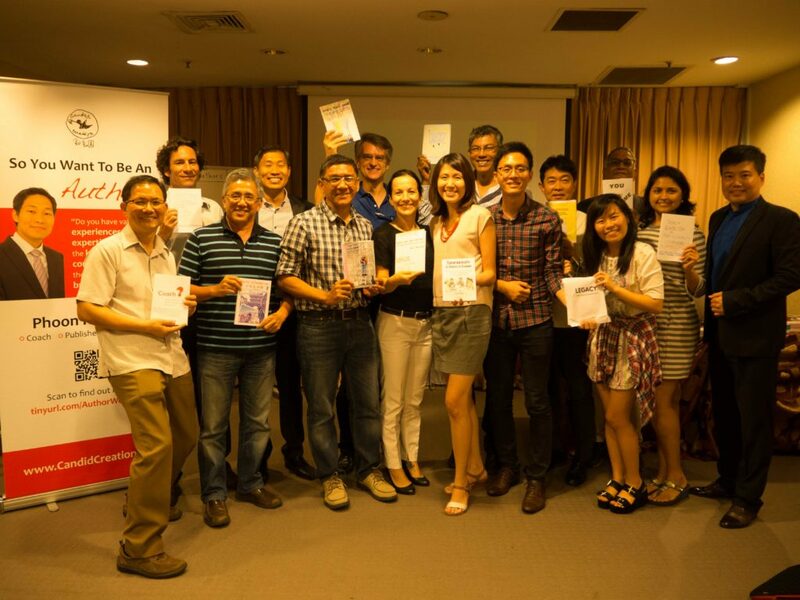 “While I was at the workshop by Candid Creation Publishing facilitated by Phoon Kok Hwa, I was reminded of Earl Nightingale’s diamond mine story. Instead of talking all day by himself, Kok Hwa chose to make us look into the “why”s. He was candid about the reality of book publishing. No single sales pitch was mentioned in the 2 days. He was sincere, genuine and fully devoted to guiding all of us to find answers that lie deep in ourselves. “I feel that this programme was sincerely crafted by someone very experienced in the trade and who knows the industry and his scope of work very well. It provided me, an author-to-be, with very precise and clear steps … to focus my time and effort on so as to minimise the unwanted experience before I embarked on the journey. The programme was carried out in a very interactive manner, engaging participants, ex-participants, guest speakers (authors) and trainers and this made it possible for me to see and understand things from all perspectives and shed light onto the areas unknown. In addition, the discussion and activities-based learning further intensified my learning experience and made me feel that I had already begun my journey as an author. Beyond just writing a book, the other aspects of Publicity and Promotion — which I never really thought of associating with writing a book — were incorporated in this programme. These areas further expanded my awareness into the challenges which I would be experiencing and offered me good insight into addressing them. Coach, Wealth Coach LLP & Digital Marketer. “I travelled from Thailand to Singapore to attend the “So You Want to be an Author” workshop in June 2016. And I did not regret my investment! I got much clarity on the steps to take to move forward with my book project , even clarity on what I did not know was unclear! I got inspiration and motivation plus the drive to go for it as well as precise guidance on all the elements to take into account. I got precious insights on what are the strengths and weaknesses of my project at this stage. “Authors have wonderful ideas for book concepts all the time. But ideas alone does not necessarily equate to success as an author. Attending this workshop offered me a practical and effective framework plus strategies of how to ensure my printed book reaches the audience desired and achieve the outcomes intended. It’s also extremely helpful as a much needed reflective exercise to aid us in both the creative process of writing and the action part of getting it to print and beyond. The facilitators, Kok Hwa and Andrew, have a wealth of experience and expertise which they gladly generously shared with participants. More importantly, they shared it with authenticity and with heart. It was also a great joy connecting with fellow like-minded participants, I benefitted so much from the individual conversations and group sessions. “After attending a weekend workshop in Singapore on authorship by Phoon Kok Hwa of Candid Creation Publishing, I’ve gained more insights of my future plans as an intuitive artist. Kok Hwa’s idea of visualizing my very own book is brilliant and encouraging! I also felt that he had shared his knowledge with such an authentic heart without any intention to sell any package. Big ‘Thank You’ to PR strategist Andrew Chow for recommending this workshop to me. If I could describe my feeling in one word, it’d be BLESSED. As I’m packing in my hotel room, I fill in my suitcase with this wonderful feeling of blessedness that my dream shall continue upon another dream. “I would strongly encourage anyone who is considering publishing a book to first attend the “So You Want To Be An Author?” workshop. The workshop helped me change my perspective on book publishing completely. If I had not attended this workshop, I may have ended up committing to publishers who are only interested in pushing costly packages of services that many authors don’t really need. Kok Hwa is an engaging and content-rich speaker and his presentation was easy to understand. 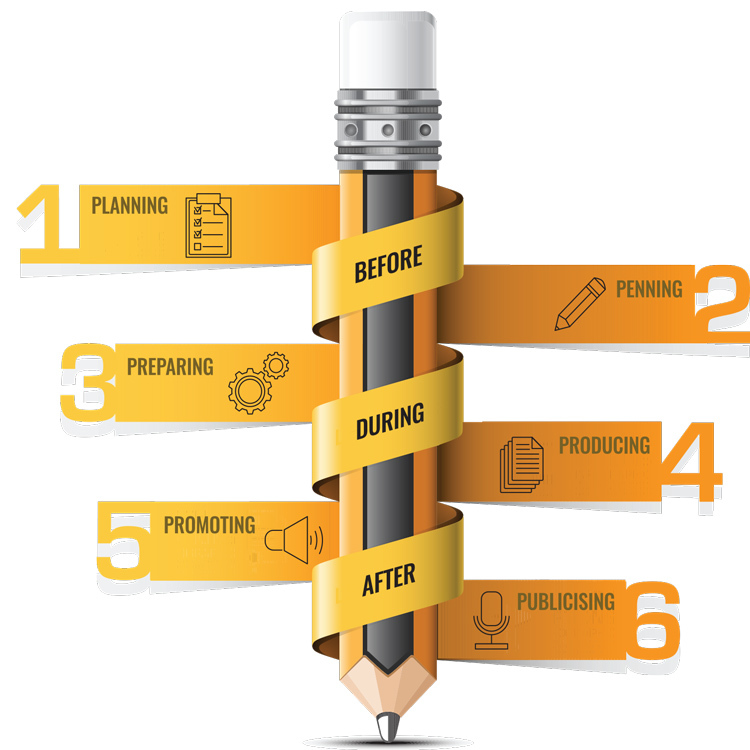 The workshop contents are really structured, practical and actionable and I find it immensely beneficial in helping me understand what needs to be done during the various stages of writing, producing, promoting, and marketing my book to make it a success. Therefore, this workshop is specially suited to all aspiring authors who wish to write and publish a book but lack the confidence and know-how. “This is a workshop that comprises both knowledge and how to’s. Participants are given relevant tools to help them in the publishing process. Principal Consultant, Peet Asia Pte Ltd.
Phoon Kok Hwa is a Publisher at Candid Creation Publishing, where he has spent the last decade helping hundreds of aspiring authors to get their books written, published, distributed and marketed. Kok Hwa is a literary agent at heart, nurturing and extracting the potential book out of every aspiring author. He believes that there is a book in every person, just waiting to be published. It comes as no surprise that he does not even restrict himself to a particular genre as he believes that authors can come from all walks of life, and are most compelling when they are themselves, writing about a subject that is close to their hearts. Kok Hwa continues to look for the distinct voices emerging from Singapore and Asia. His hope to broaden the appeal of Singapore’s published works continues to fuel his passion and creative flair for helping authors identify personally compelling narratives to drive their writing style. Apart from his personal beliefs in author expression, he also believes in a pragmatic aspect to publishing a book — personal branding — often stating that nothing produces instant credibility faster than giving away a book as a calling card. Kok Hwa is also a certified as a Professional Action Learning Coach by the World Institute for Action Learning and also a recipient of the International Coaching Excellence Award 2015. Andrew Chow is a passionate social media and public relations strategist, entrepreneur, speaker and author of Social Media 247 and Public Relations 247. Based in Singapore, his insights into social media strategy, media management and entrepreneurship have made him a choice selection for workshops and public speaking engagements across Asia,through which he educates professionals on how to leverage social channels for business results. Andrew’s career has seen him work with an array of clients including AXA Insurance, Abbot Medical Optics, Singtel and Sony Pictures. Registration is on a first-come-first-served basis and workshop fees must be paid before the workshop. If the minimum number of participants is not met for the class, the organisers will inform all participants about possible postponement and cancellation of workshop, one week before the workshop date. Cancellation & Substitution: Fees paid are non-refundable but transferable. Upon submission of your registration, you are deemed to have read and understood the registration procedures and accepted the terms contained therein. Upon submission of your registration, you are deemed to have read and understood the registration procedures and accepted the terms contained therein. 1. Registration is on a first-come-first-served basis and workshop fees must be paid before the workshop. If the minimum number of participants is not met for the class, the organisers will inform all participants about possible postponement and cancellation of workshop, one week before the workshop date. For workshops cancelled by us, participants will have the option to attend the next workshop or seek a full refund. 2. Fees paid are non-refundable but transferable to another person. Participants who are unable to attend the workshop they have registered and wish to transfer to a substitute are to inform us at least one week before the workshop date, failing which we reserve the right not to accept the substitute. 3. By registering, participants also agree to have photos/videos taken of themselves during the workshop for marketing purposes, including but not limited to print, audio-visual and social media. 4. By registering, participants also agree to indemnify the organiser against claims arising from any personal loss, injury or damage.